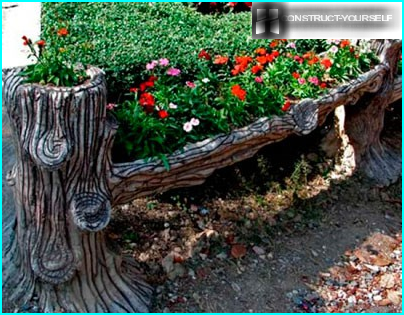 Country site looks muchattractive when it is decorated with a fountain - small, with sparkling streams, or more - in the form of sparkling bowl. The secret of flowing water in the air lies in special equipment. 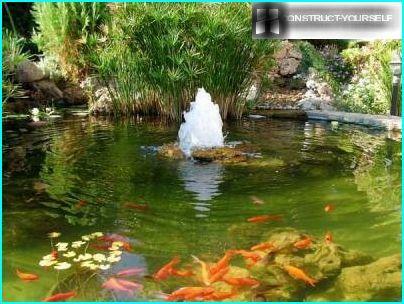 Various nozzle fountains turn boring pond in a scenic, gorgeous water views. Today we offer you to understand how to choose the proper nozzle and show what all nozzles are. Why do I need to install the attachment? What is the material of manufacture prefer? What tips are in form? To water jets and took the necessary formmoving in the right direction, use a special, simple in its execution devices that have the name - nozzles for fountains. Their main function - spraying, dispersion, ordering water drops and streams. The result is as if dangling in the air volumetric composition that is often what we call a fountain. From the structure of the nozzles depends on the shape and size of the watercomposition. Suppose powerful devices capable of creating huge bubbling columns, translucent water dome of large diameter, ornate patterns. A special type nozzles - Rotary - make water drawing dynamic moving. Tilt the device to form a certain angle of supply jets, adjusting them to easily change the overall composition. Invisible different capacity pumps lift waterup, and the stronger the pump, the higher the water column. Using a set of various nozzles, adjusting water flow power, you can create a unique, multi-tiered composition of the broad streams of water, fine spray, foaming jets intersecting. Of course, the fountain bowl in this case should be the volume. Aluminum bronze. The most expensive and high-quality devices. Cancel strength, corrosion resistance supplemented aesthetically attractive appearance. Bright yellow, golden, color blends perfectly with sparkling spray and helps to create a truly royal composition. Steel or brass. 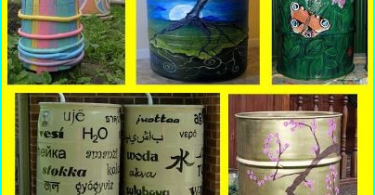 Long-lasting, durable, cost-effective products that do not require special care. 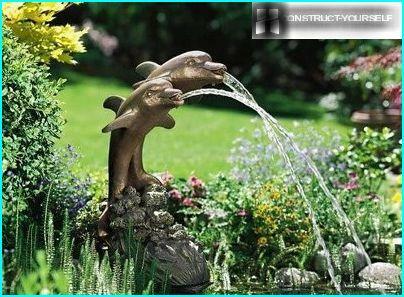 They are used for the equipment of most of the city fountains. Plastic. A huge plus plastic devices - their lowprice. But there are two big disadvantage - a short life span and inability to withstand strong water pressure. Plastic is great for small suburban ponds decorative type. Stopping the choice on this or thatdevice, in addition to the aesthetic component, should consider conformity nebulizer reservoir volume and the expected power jets. It is necessary to measure the distance from the device to the place of installation the edge of the reservoir - the height of the jets should not exceed this value. Ideally it is taken into account and the power of the wind. Do not forget about such a characteristic aswindproof tip. The higher it is, the sharper and more stable will be the water pattern. Cheap plastic nozzle jet is well kept only in calm weather, when the wind fountain will not look very neat. Resistant different foam systems - no wind "ruffle" projected picture. Recall and about the practical side of the issue. Successfully selecting sprayers for suburban area, you can not simply decorate a piece of the landscape, but also to create a comfortable environment for the wet plants growing near. "Hemisphere" and "Sphere". It looks like a small ball with a lot of built-tubes spikes. 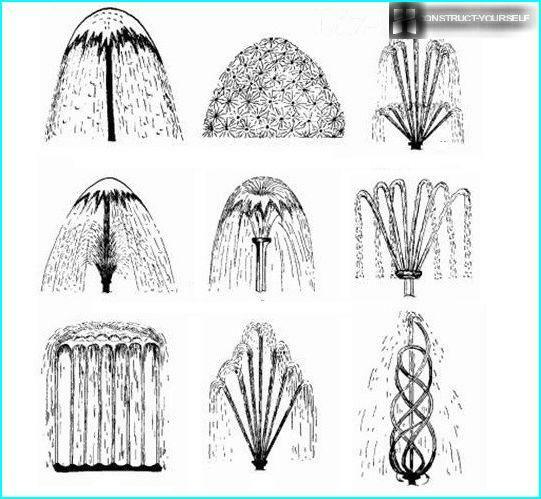 Fountain with a nozzle "Sphere" during operation is very similar to the white dandelion. "Fish tail". Rare nozzles are pulled out of a given length of water jet at an angle of 40 degrees, reminding straightened fish tail. "Bell". A small tube length of 0.5 m - 15 m, ending with two discs. The space between the discs is used to adjust the water curtain thickness. Great looks and a large luxurious "Bell" in the middle of the site, a group of small and somewhere in a quiet pond. "Tiffany." These nozzles have combined the two previous species. The top of the spherical shape is decorated individually escaping jet. A single dispenser. Jets reach the great height at an angle of 20 degrees. The jet nebulizer. The column of water rises up and then breaks apart into separate streams. "Ring". Small nozzles uniformly disposed on the discharge pipe, made in the form of a ring. "Tulip". Jets directed upwards resemble funnel. The two-storey tip of the same type is called "Bouquet". Longline sprayer. The tiers differ different pressure feed water. "Pinwheel". At the same time flying up and rotating on the axis of the jet resemble a spiral. With nozzles for fountain, think carefully about the composition, it is possible to create a unique water drawing, which will be the hallmark of the suburban area or a country ownership. Even the splendor of the Dubai fountains created by a variety of baits.